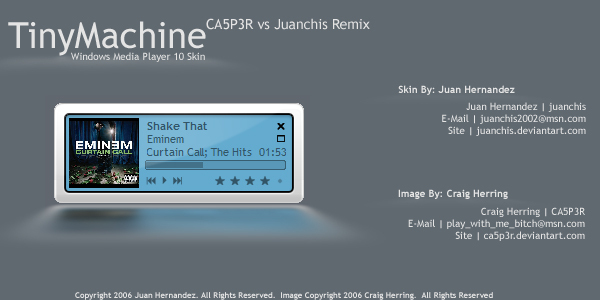 A simple White skin following my TinyMachine skin pack, last December. How about adding Volume control! then it would the perfect skin!! I have to agree. It needs a volume control. Other than that, its very nice work.! !